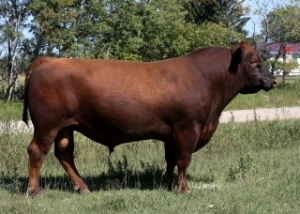 Rare was a herdsire that sired phenotypically correct, deep rich red coloured, and totally exciting progeny for us. We uncovered this interesting and unique Red Angus gem during the summer of 2005 at eight months of age. We went back two months later and sealed the deal. Rare, simply put was just that!! Outcross genetics at their finest. Jenna 3H was a moderate framed, deep bodied, perfect uddered momma cow. 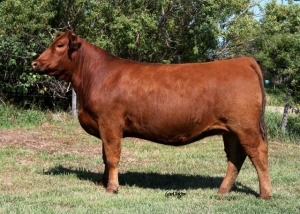 We wish we could have our pastures full of her type.